Hello everyone, are you live in Malaysia and dreamed to become a Commercial Pilot? Then there is a chance which helps you to fulfill your dream. Yes, friends today I will discuss Malaysia Airlines Career As Pilot 2018. So, please read the full article carefully. All Malaysia Airlines pilots will be responsible for operating a safe and legal way. Responsible for ensuring the safety of aircraft, passengers, crew, and cargo since the doors were closed until the end of the flight openings. Responsible for ensuring flight in compliance with relevant rules and regulations. Maintain a highly professional image in both conduct and presence to protect the image of Malaysia Airlines merciless. The interview is open to all. presently candidates work with B737 300 – 900, A320/A330/A340 /A350/A380 are encouraged to apply. Meets the regulatory requirements for the theoretical knowledge of operating an aircraft. It includes basic aviation issues and aircraft technical issues. Follow the regulatory requirements for the technical and non-technical skills of operating an aircraft and using your equipment. Follow the regulatory requirements of resource management, human factor and security management in aviation. He is strong in mutual and communication skills, good analytical skills, good involvement in the subject and good ability to make decisions. It’s a walk-in interview. so, requested everyone to attend this interview by the walk into the above-given date and venue. If you are unable to attend this interview or if you want to apply for next vacancy then Click Here to apply online. Note – Also there is may other vacancies in Malaysia Airlines. 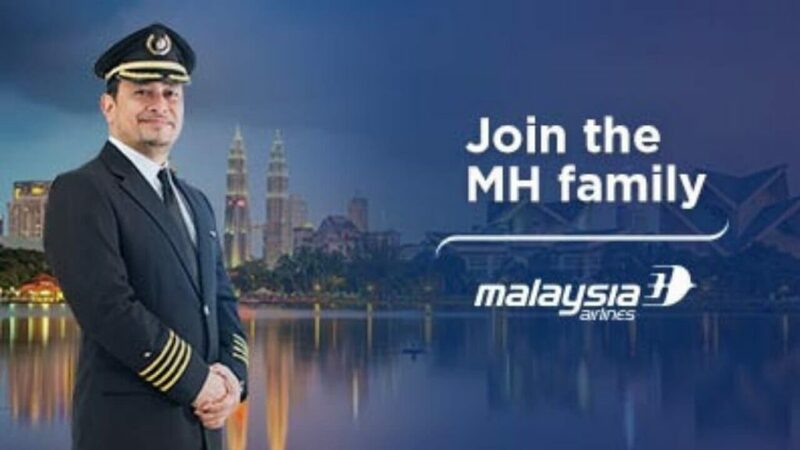 Like First Officer and Captain and more to check these details Click Here to redirect to Malaysia Airlines Careers page. Still, if you have any query, Please comment on the bellow. Also if you want to contact me you can go to my Facebook Page and YouTube Channel for more details and frequently ask questions.